Whelm's only full-length finally gets a welcome physical release. I first encountered Whelm back in 2008 when I shared a stage with them in their hometown, Copenhagen. This was a very memorable night for many reasons (the show was actually within the borders of Freetown Christiania – if you have never heard of it I highly suggest looking it up! ), one of which was certainly the oppressive post-apocalyptic sounds of Whelm. I picked up their demo EP and have followed their progress ever since. It hasn't been the most prolific of careers, resulting in one full length album recorded in 2012, and released digitally in 2013 following the bands demise. So what am I reviewing today? Well, 2013's 'A Gaze Blank and Pitiless as the Sun' has finally been released in physical form, on CD, by one of the UK underground's longest running labels, Aesthetic Death. 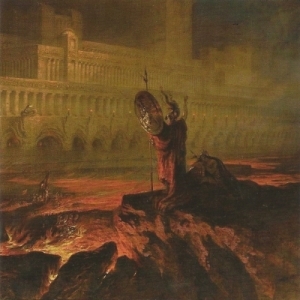 It comes complete with new artwork in the form of John Martin's painting 'Le Pandemonium' (used with kind permission of the Louvre) which fits the music very well. I got the digital release back when it came out, so have had much longer than usual to form my opinions before writing! 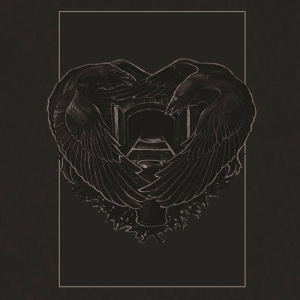 The 2006 EP 'The Prologue' clearly displayed a sizeable chunk of Neurosis influence, but unlike several of the more successful bands of that ilk around at that time (Isis, Pelican et al), Whelm seemed to capture the heavy moods as well as the heavy sounds. With a better production this time round, 'A Gaze Blank and Pitiless as the Sun' is heavier still, reaching 'Times of Grace' levels throughout. There has been an evolution of the sound, though, with Whelm introducing several elements that distance them from being another clone. The most obvious would be the use of a zither on several tracks, something I personally have never heard on another metal record (be sure to list others in the comments thread). This is well integrated into the main sections of the songs rather than just being used as part of song intros, and the distinctive twang cuts through the otherwise impenetrable wall of guitars very nicely. They have also incorporated some diminished trem-picked lead guitar (and zither at times) lines that add a little tinge of Black Metal to the sound. When not trem-picking, the leads are normally heavily effected and spaced out – only there to provide atmosphere and texture to the songs, which they do very effectively, and not to pander to the egos of the players. The album was tracked at Ear Plug studios in Copenhagen by Thomas Pedersen and mixed and mastered at Priory Recording Studios with Greg Chandler (who un-coincidentally first met Whelm at the same 2008 Esoteric show I did). 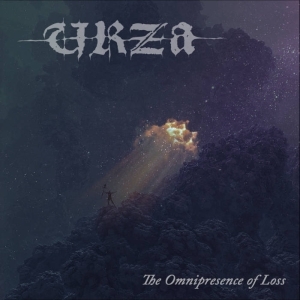 Everything here is up to the usual standard the Doom community has come to expect when hearing those words - crushingly heavy whilst remaining crisp, clear and well balanced throughout. 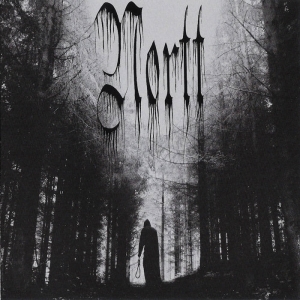 Whilst containing the heavy/dark atmospheres of good Death Doom, this is still a record with one and a half feet placed firmly in Post-Metal, albeit at the most crushing end of that spectrum. If you don't like that genre and its tropes, this is probably not one for you. Having said that, I shun a lot of bands in that area myself, and I enjoy Whelm a lot. At the end of the day, for me it all comes down to whether the artists sound like they MEAN it, and Whelm do. There are riffs here that are so simple they could be played by a child, but without the weight of emotion behind them they would sound a fraction as effective as they do here. If aspiring musicians in the genre have listened to Neurosis and missed the point about what makes it great (and this often seems to be the case), they could give Whelm a go to get a second chance at realisation. It's sad that Whelm split before ever releasing this record, as I would love to hear more from then. As it stands, I am just happy to have their complete discography (puny as it is) on CD at last.